Today,i want to explain the basic knowledge about LNG process. Remember, this is just the basic process, not the detail of it. Badak LNG using APCI method in manufacturing LNG. 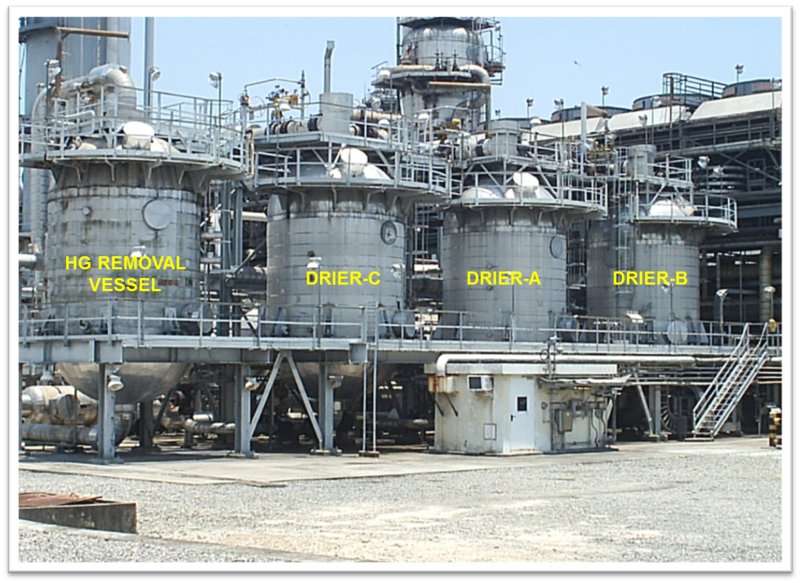 There are five main process on it that occurs in seperate unit processing called "plant". And the five plants combined called "train". From the name of this plant, we already know that this first process purposess is to removing the Carbon Dioxide that contained by Natural Gas. This Carbon Dioxide must be removed because it can cause freezing in low temperature. When freezing occurs it can block the pipeline. And the seccond reason is because the Carbon Dioxide do not has a energy because it is an emmision. In This plant, there are two important process. 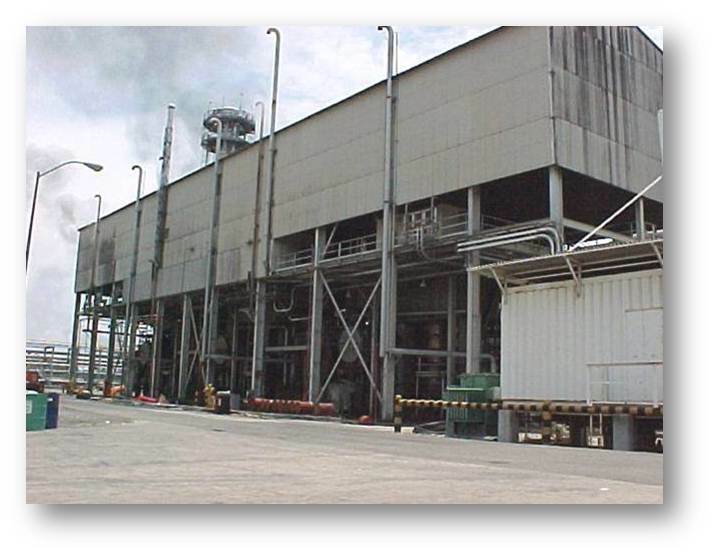 First process is removal of water content from Natural Gas and seccond process is removal of the Mercury Content. The main reason why we must remove the water is because water is freezing below 0 oC (1 atm) consider that LNG temperature is below -150 oC. The media of the removal process is using the molecullar sieve. The seccond process is the removal of the Mercury that can cause corrosion of the aluminum pipeline system. In plant 4 and 5 there are many pipelines that contains aluminum alloy, thats why its dangerous. 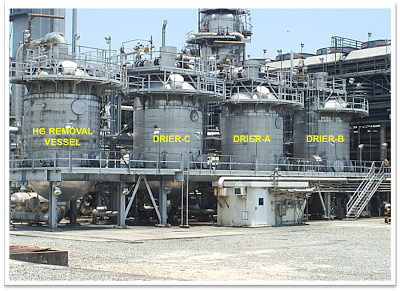 The removal media of this process is using SIAC (Sulphur Impregnated Activated Carbon). 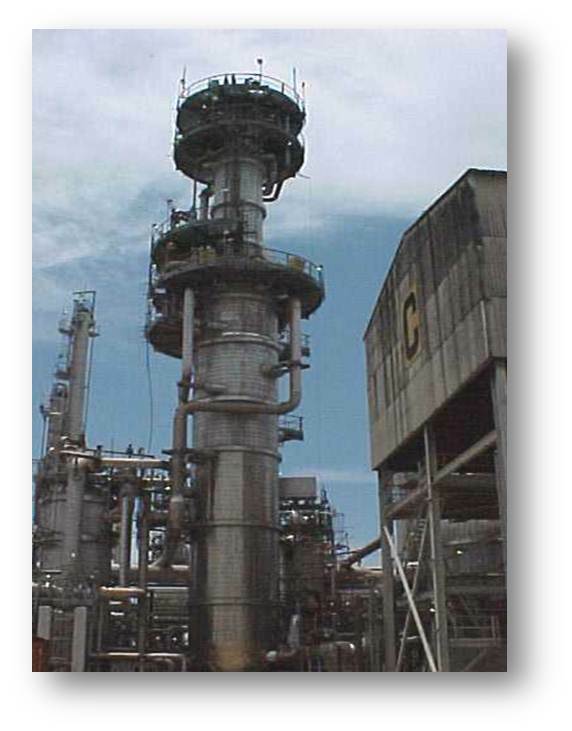 In this plant, Natural Gas is seperated based on its main components (Methane, Ethane, Prophane, Buthane, Penthane+). This process is using four distillation collumn that operating based on its boilling point. 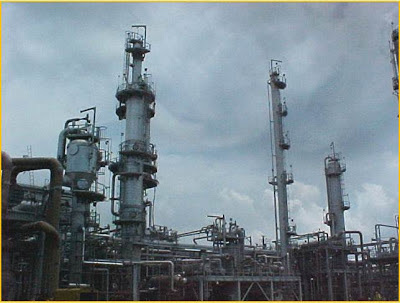 The first distillation collumn is scrub collumn or demethanizer that seperates methane from other hydrocarbons. Seccond is deethanizer that seperates ethane from other hydrocarbons. Third is depropanizer that seperates prophane from buthane and penthanes+. After being seperated, each of the components is flow to the its process. Methane flow to Plant 4 for cooling and liquefacting process. Ethane and some of the Propane going to plant 4 become the cooler of the natural gas. 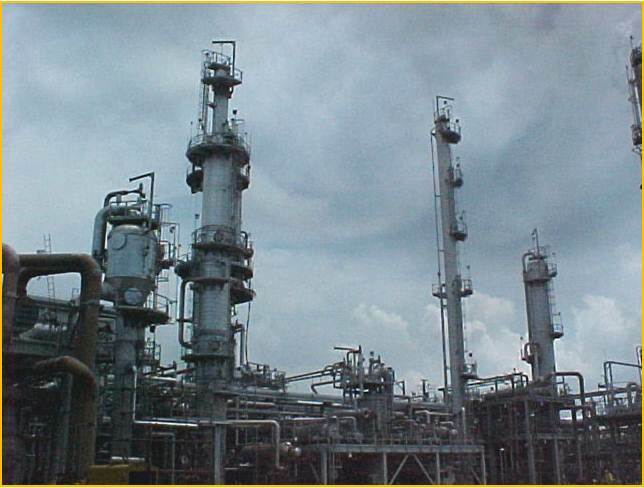 Propane and Buthane flow to LPG processing. And penthane flow to the condensate processing. This plant is contains two main refrigeration cycle, The Prophane refrigeration and the multi component refrigerant (MCR) refrigeration. The multi component refrigerant are: nitrogen, methane, ethane, and prophane. This is where the Natural Gas which is mainly Methane is being cooled by the MCR and being liquefacted in main heat exchanger (MHE). After this process, LNG will be stored in storage tank and ready to be shipped. 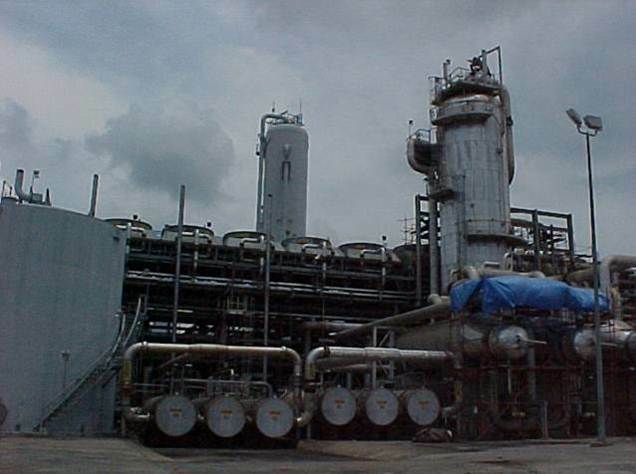 3 Responses to "LNG Manufacturing Process in Badak LNG"